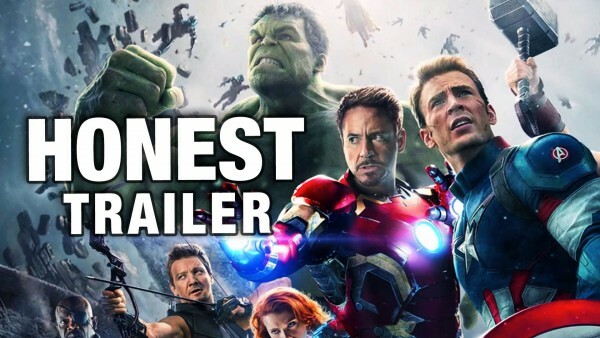 I've always enjoyed Screen Junkies' honesty in their "Honest Trailers" videos. The clever and funny recaps of films questioning dubious storylines and other lapses in logic have been dead on. With the newest Honest Trailer of "Avengers: Age of Ultron," they may have outdone themselves, serving up the most succinctly accurate critique of a franchise probably ever. From the eerily similar plot to the first film, the history of weak villains, the hordes of faceless opponents, the less than inspiring new heroes, to the immeasurable burden placed on Joss Whedon to tie-in every other Marvel franchise to this film leading to him burning out, Screen Junkies nailed every thing wrong with the Avengers. Check it out.